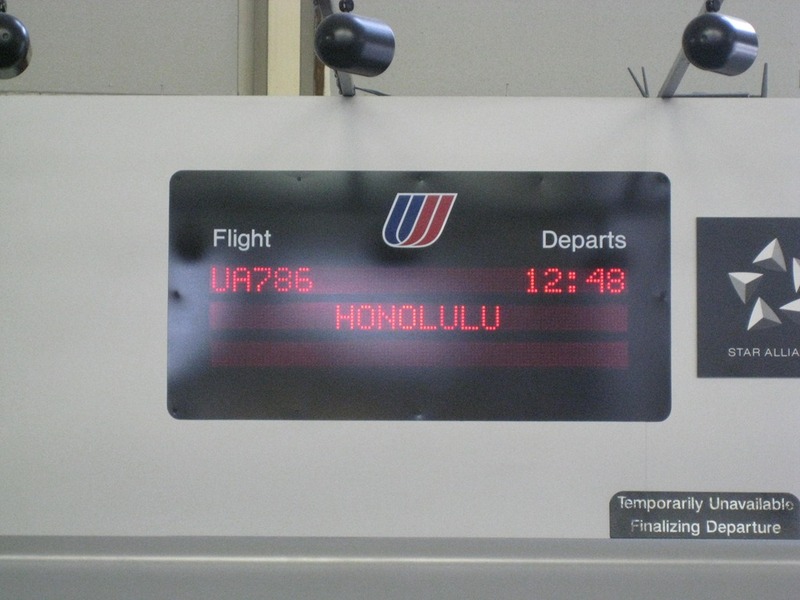 I think that fact that I was going to Hawaii actually hit me at LAX (Los Angeles) airport when I saw the flight information for the Honolulu leg. I flew from CLE to LAX and had a 2 hour layover before heading west. 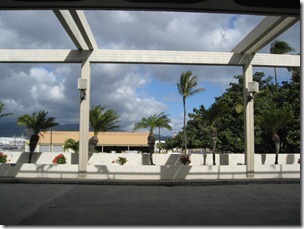 When I arrived in Honolulu, the view from the airport was amazing. 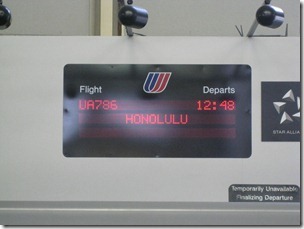 It was also different to be walking from a terminal to baggage claim and be outside. 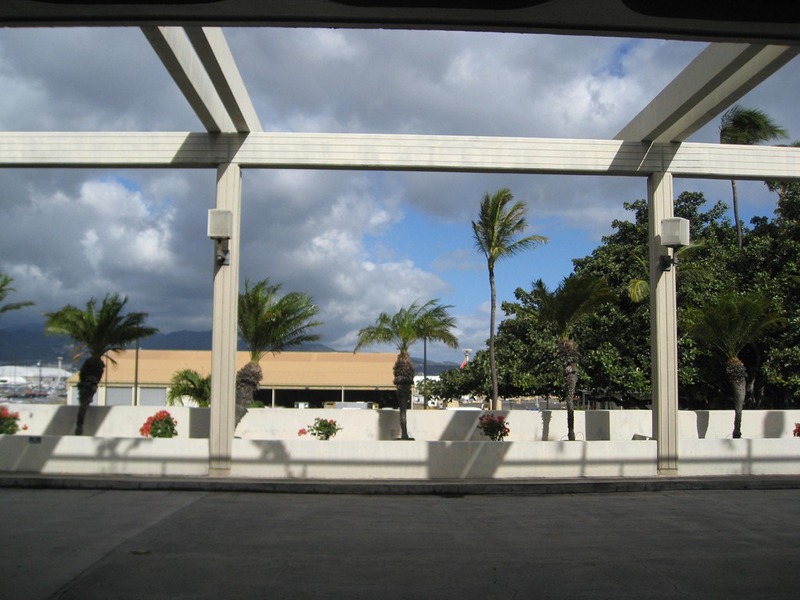 Hawaii doesn’t need much in the way of enclosed structures, so they don’t build extra walls. 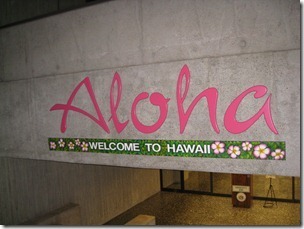 As I went down the escalator to baggage claim, I got my first Aloha! 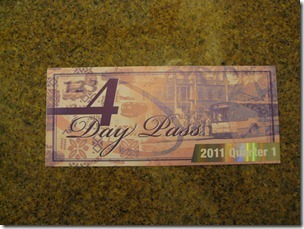 Once we got our rental car, we headed to our hotel. 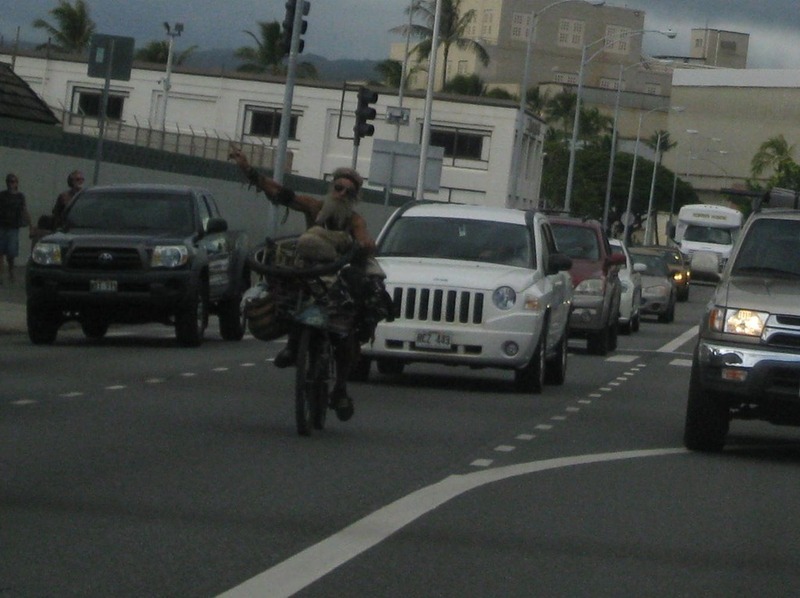 On our way down the main street, we saw this bicyclist. He was the type who looked like all of his belongings were with him. 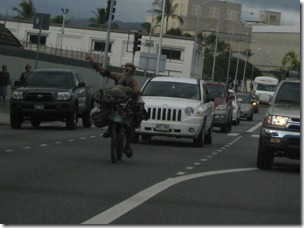 He was swerving in and out of traffic and flicking people off every chance that he got. It was quite hilarious since of course it was the fault of all of the drivers that he was riding like and idiot. 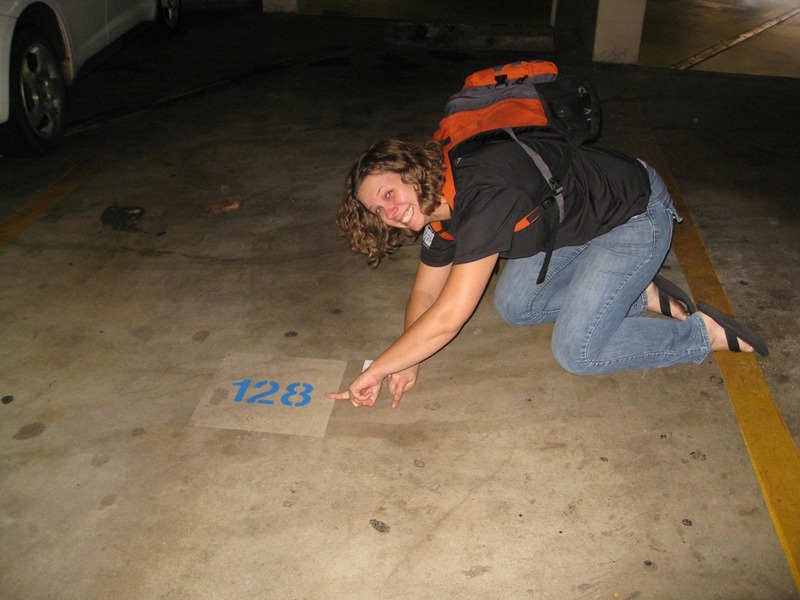 We wanted to remember where we parked in the deck, so I took this shot of my sister. We were parked in 127, also known as 128 minus 1. 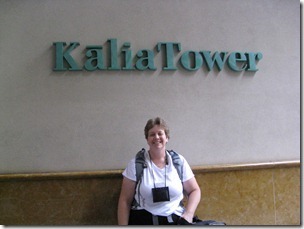 We stayed in the Kalia Tower of the Hilton Hawaiian Village. 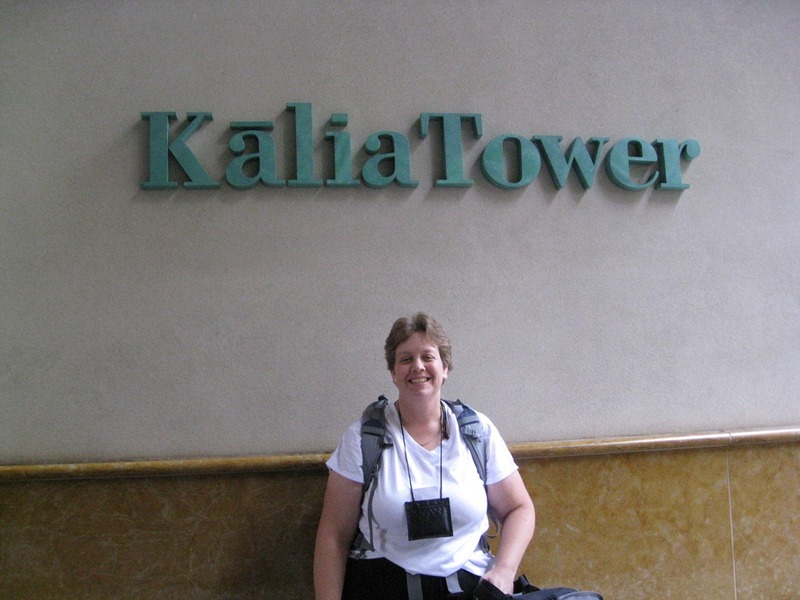 It was a nice resort hotel with 6 towers, a few pools, several restaurants and lots of shops. It was located a few steps to the beach. By the time we got to our hotel and got situated it was time for dinner and we were exhausted from a long day of travel and the time change. 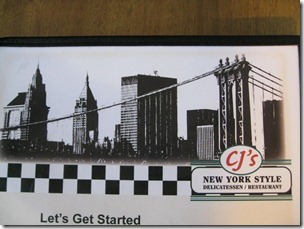 We headed to CJ”s New York Style Deli inside the hotel complex. 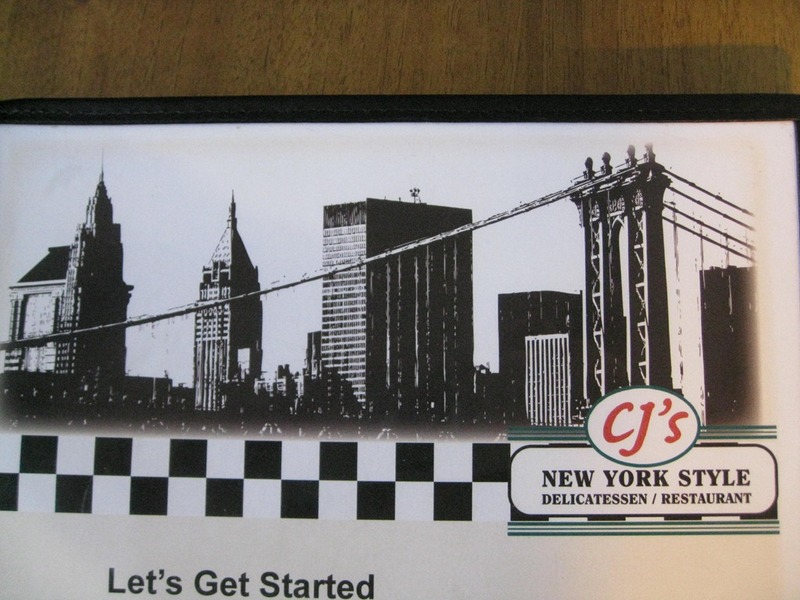 The food was unremarkable, but it was close and easy. 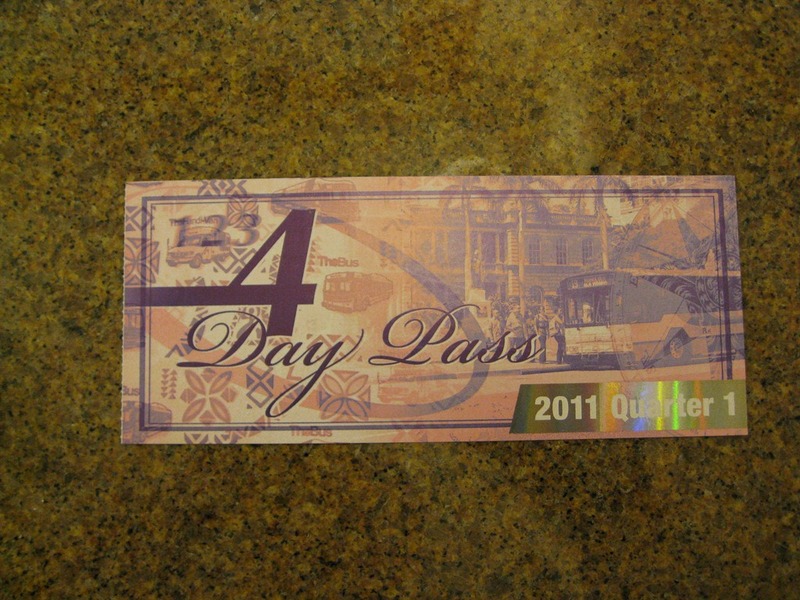 We found an ABC store (cross between a convenient store and a souvenir shop) so I could buy my bus pass. I think it was about 7:30PM when we get back to out hotel room. We joked about whether we’d still be awake by 8PM. 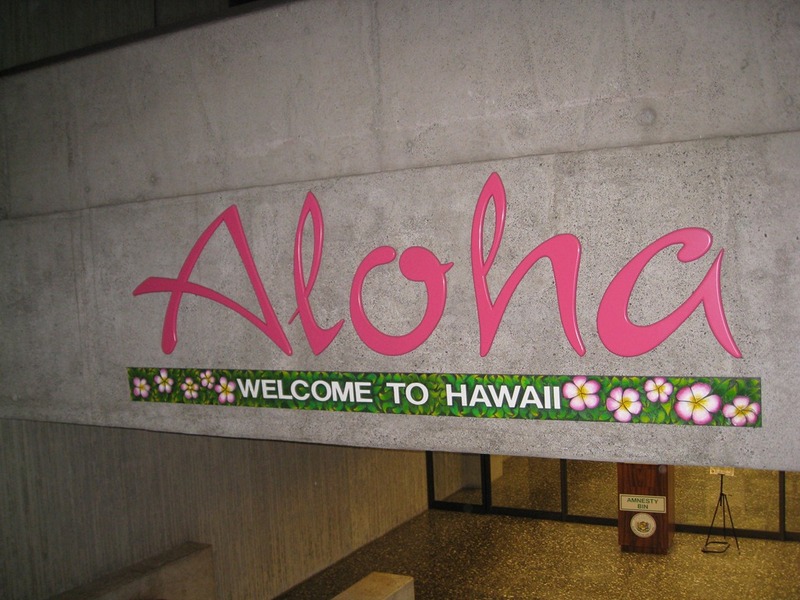 It was a long day, but I was thrilled to be in Oahu.